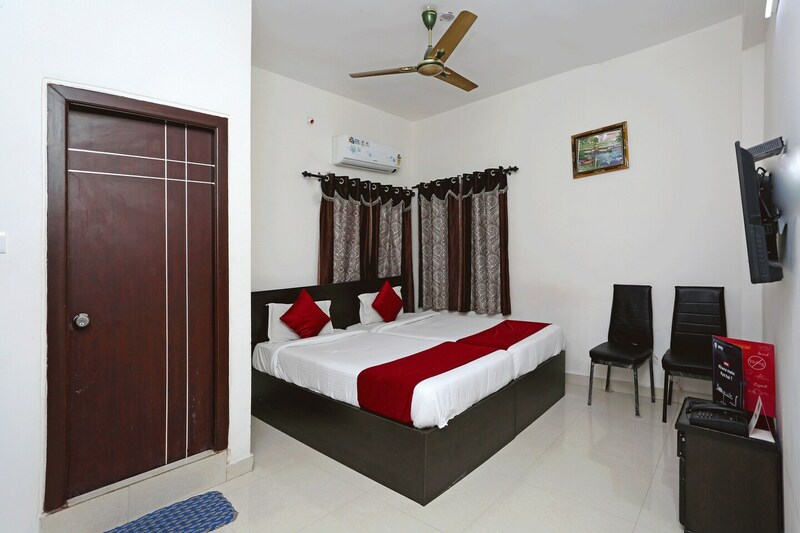 Located in the heart of Hyderabad, OYO 9004 Qube Inn promises a great experience to the guests at affordable rates. The hospitable and friendly staff of OYO ensures your stay is pleasant. The property offers AC, Geyser, TV and more. To make the most of your visit, head out to famous tourist spots like Mix Bar, Golconda Fort and Masjid-E-Zama. Axis Bank ATM, Andhra Bank Atm and State Bank Of India ATM close to the hotel ensures you are never short on cash.